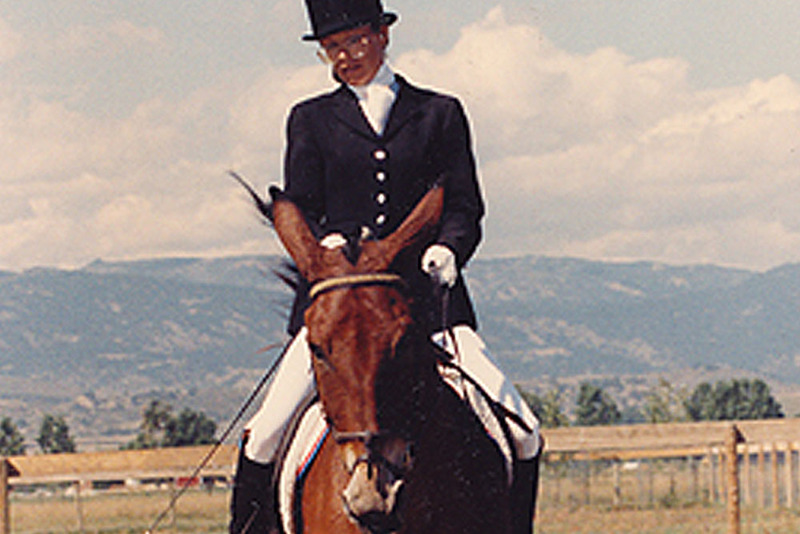 Dressage is a slow, step by step process of building the equine body in good posture for maximum relaxation while maintaining good postural balance during performance. 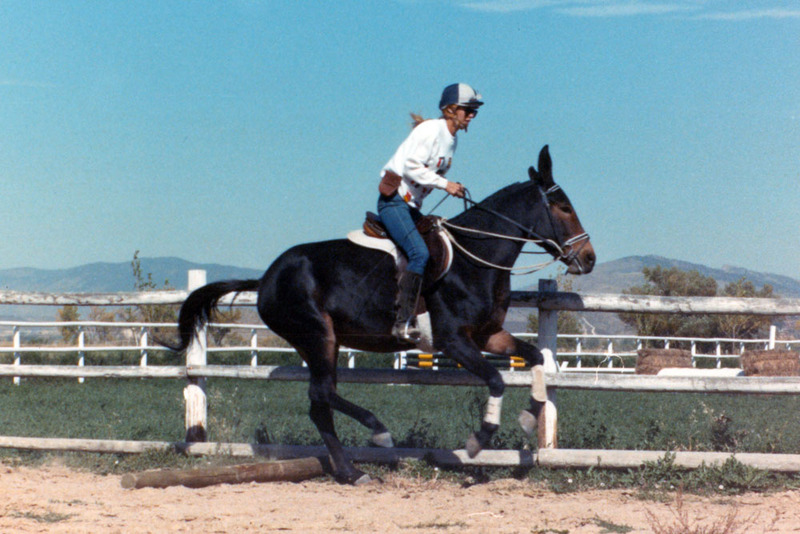 Forward movement should be your first concern when training your young equine prospect under saddle. 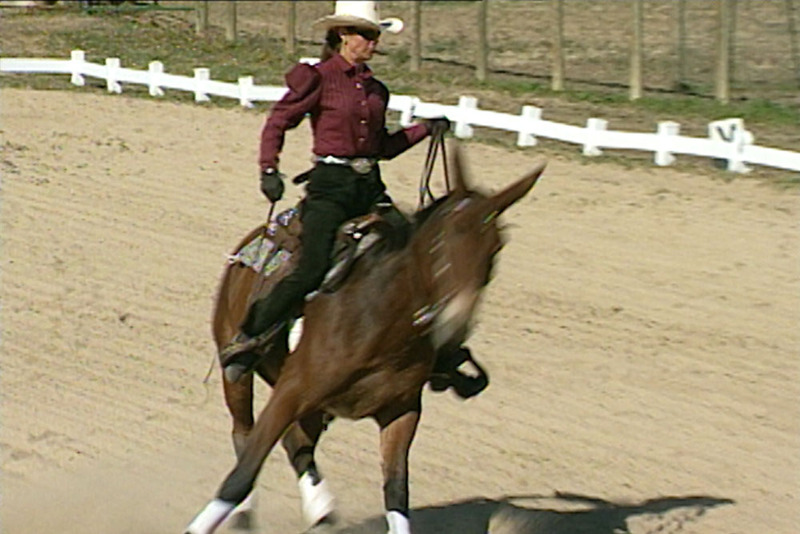 Lateral exercises should only be done AFTER your equine is moving freely forward and able to extend his gaits while maintaining the same rhythm without speeding up. 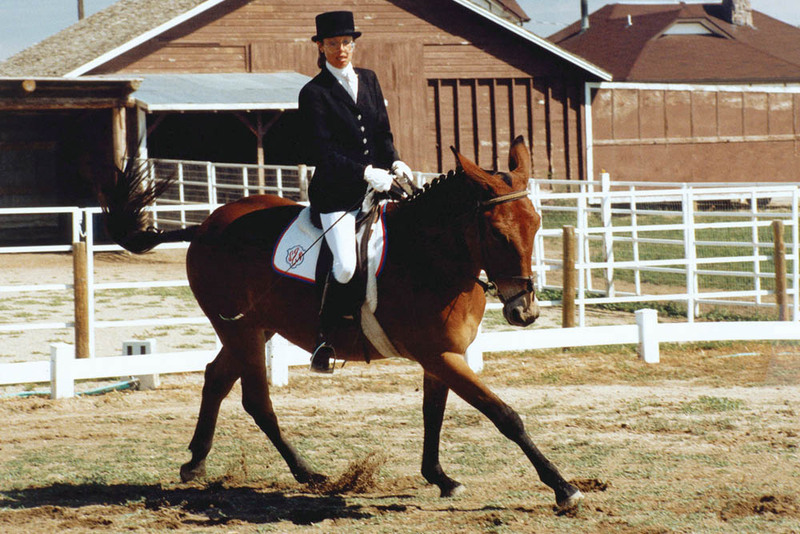 The Counter Canter is a movement used to perfect the postural balance and body alignment of the equine at canter in the upper levels of dressage. It is important that your equine learns to do nice balanced stops before he is actually schooled for the sliding stops in Reining. 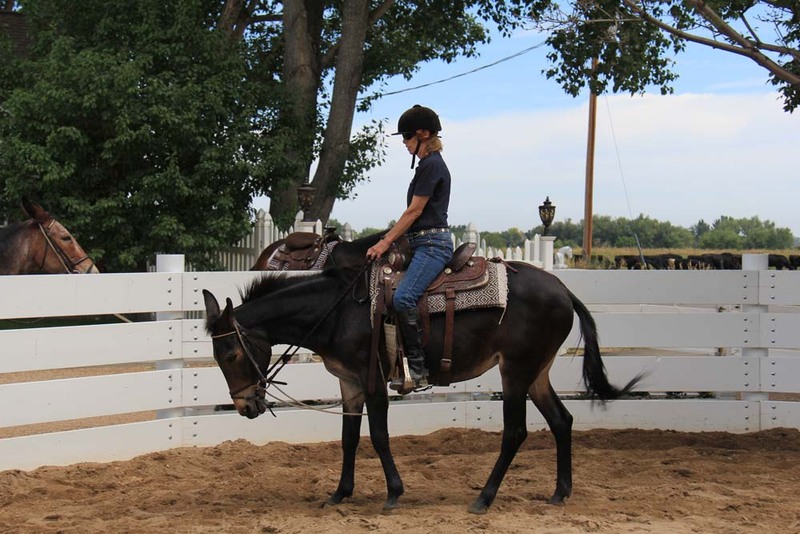 It is essential that your equine learns to rein back straight and true and only give you as many steps as you ask him for while maintaining good balance and relaxation. 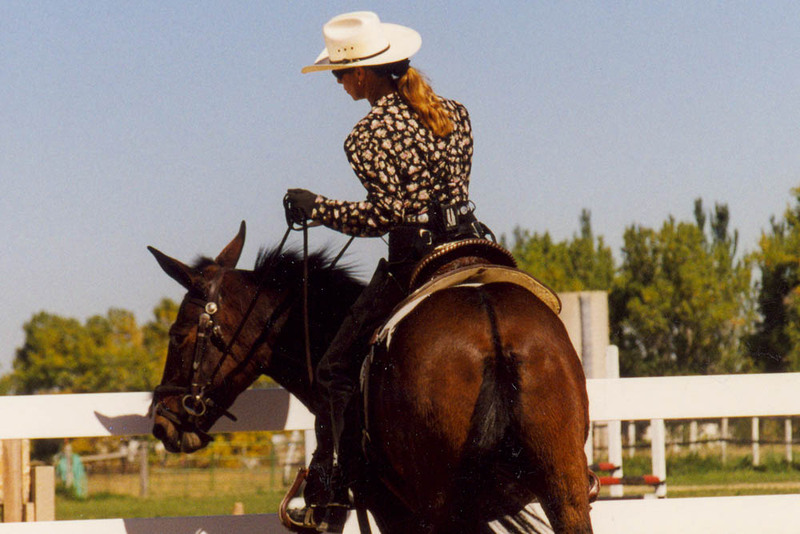 This Detailed Description covers information discussed in Training Tip #95 - The Reinback Under Saddle. Rollbacks are a good exercise to build adequate bulk muscle in the equine’s hindquarters for controlled turns, spins, jumping and pulling. 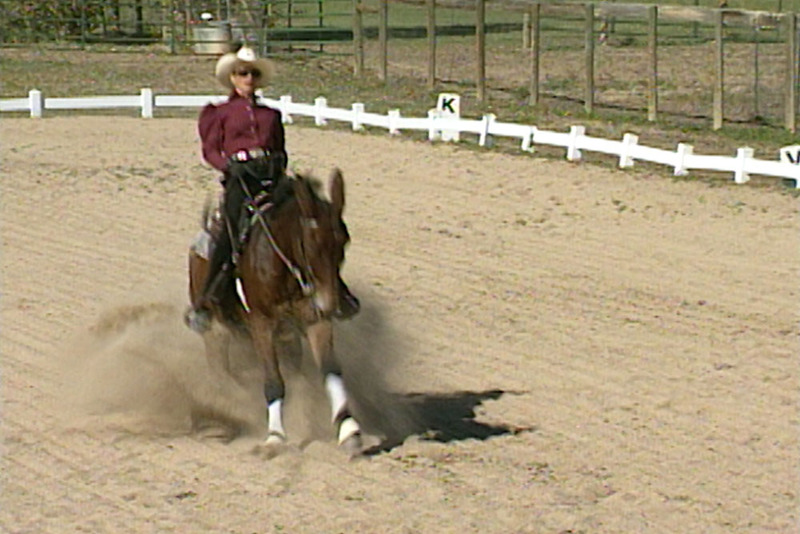 This Detailed Description covers information discussed in Training Tip #96 - Rollback Under Saddle. 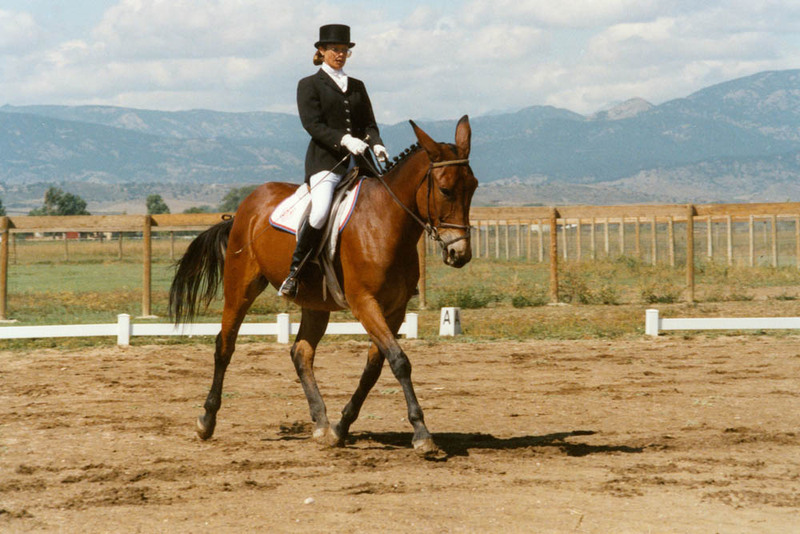 When teaching your equine to spin, start very slow and build speed only as you are able to maintain accuracy. This Detailed Description covers information discussed in Training Tip #97 - Teaching Your Equine to Spin. It is not enough to just go out and jump. 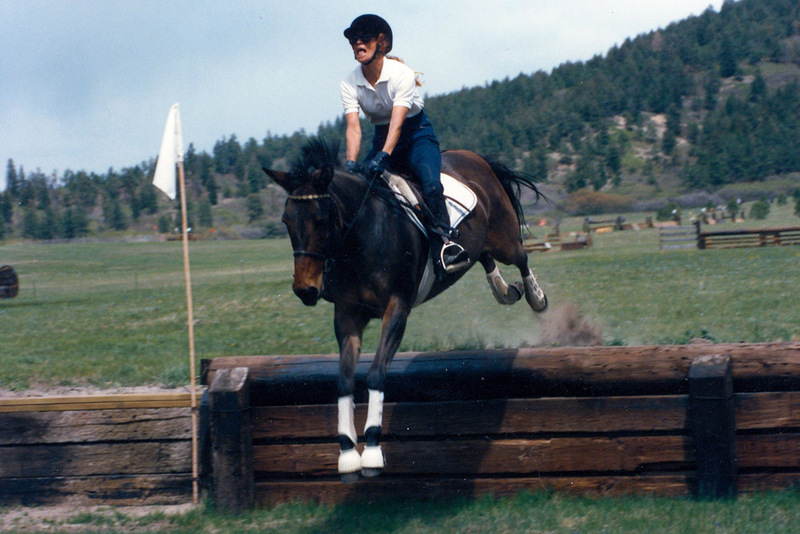 There are things to learn and practice if you expect to jump your equine safely. This Detailed Description covers information discussed in Training Tip #98 - Preliminary Jumping Directives. The canter pole exercises will help your equine to learn to measure his strides to the jump and allow him to jump efficiently. 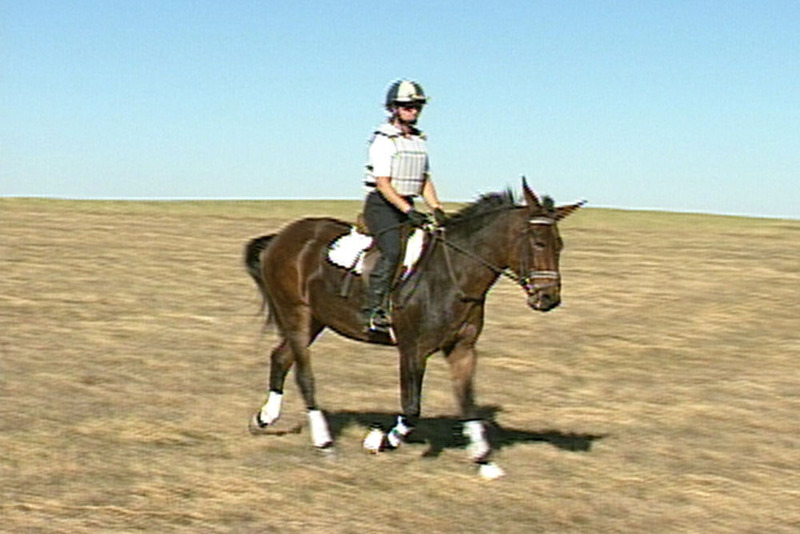 This Detailed Description covers information discussed in Training Tip #99 - The Canter Pole. 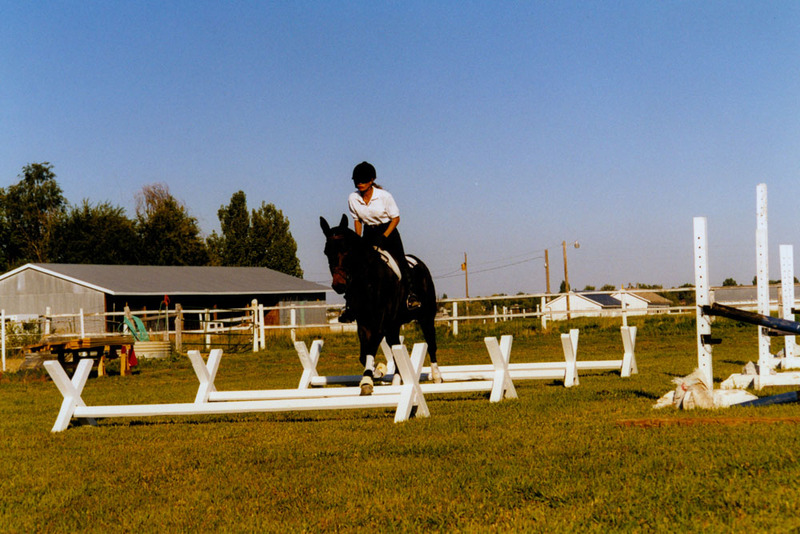 The equine that has not been prepped correctly for jumping will often over-jump fences. 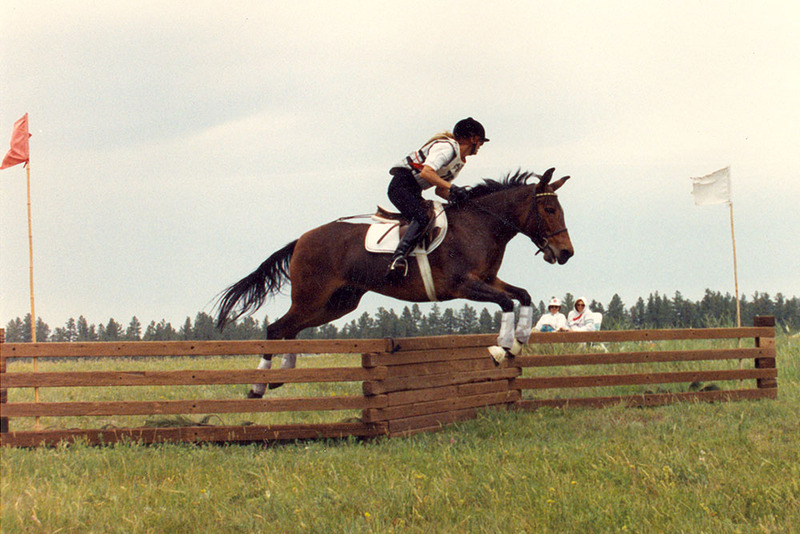 If you begin jumping over cavalletti, it will help him to better learn how to gauge the heights of the jumps. 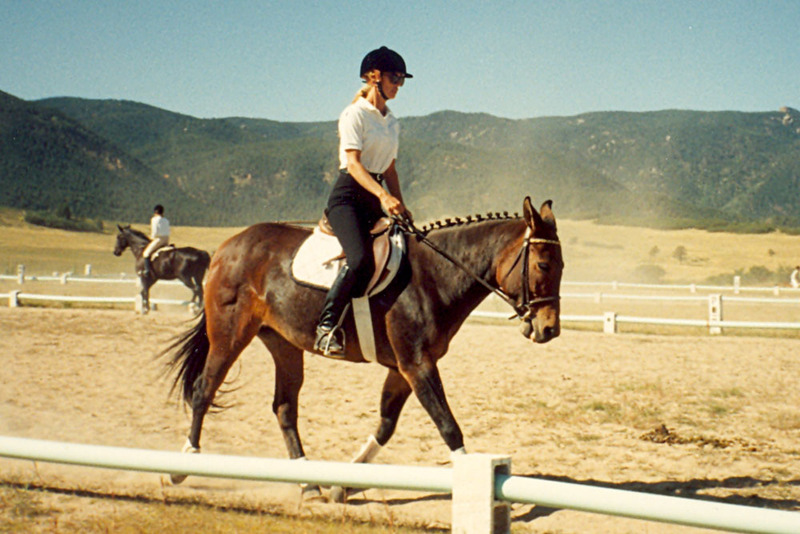 This Detailed Description covers information discussed in Training Tip #100 - Preliminary Cavalletti Exercises. Gymnastic exercises will help your equine to quickly adjust his stride and jump only as high as he needs to in order to clear the jumps. This Detailed Description covers information discussed in Training Tip #101 - Gymnastics Exercises. 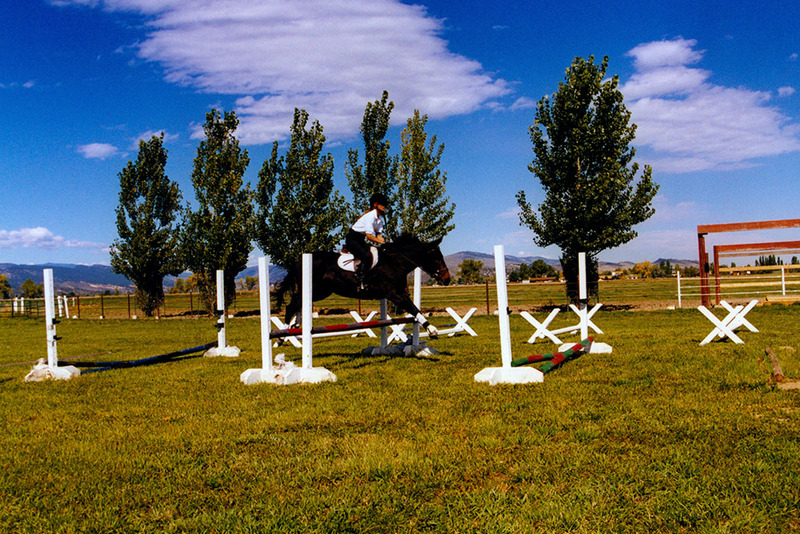 The equipment you use for jumping is designed for yours and your equine’s ultimate safety and performance. This Detailed Description covers information discussed in Training Tip #102 - Jumping Equipment. 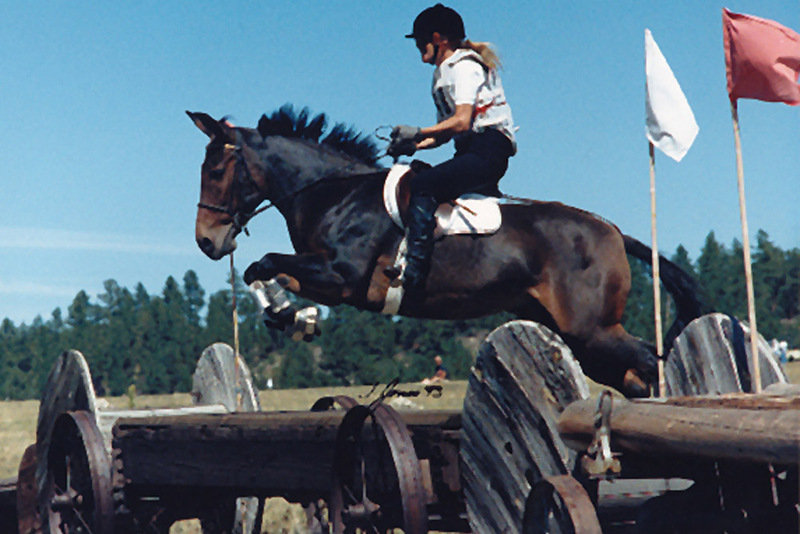 There are three main jumping positions that you will need to know to help your equine to jump efficiently and safely. This Detailed Description covers information discussed in Training Tip #104 - Different Types of Jumps.